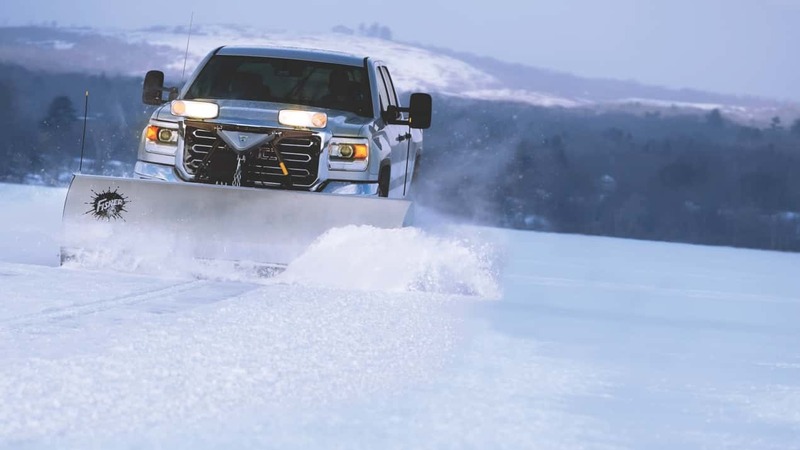 Ideal for the commercial contractor, the FISHER® HDX™ stainless steel snow plow takes innovation and productivity to a whole new level. 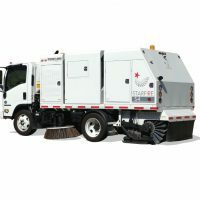 With an adjustable attack angle and articulating A-frame, you get more ground-hugging, clean-scraping performance than you ever thought possible. 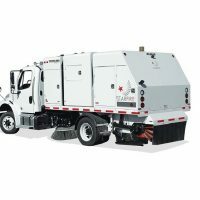 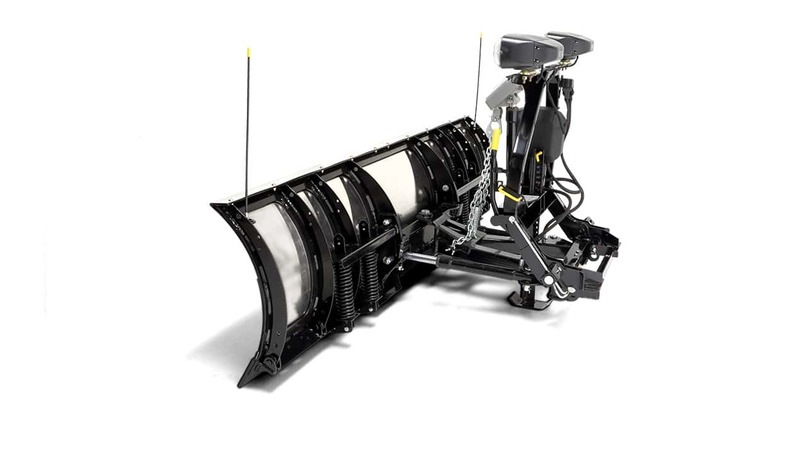 Available in 8′ and 9′ widths, the 29″ tall HDX™ snow plow blade is made from corrosion-resistant stainless steel that performs as good as it looks. 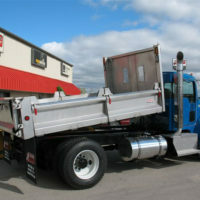 The HDX™ snowplow is constructed with a total of eight vertical ribs welded into a rigid framework. 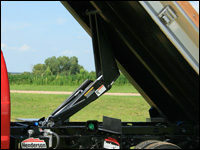 The two inner ribs and base angle have additional reinforcement which provides increased structural support when attacking winter’s worst. 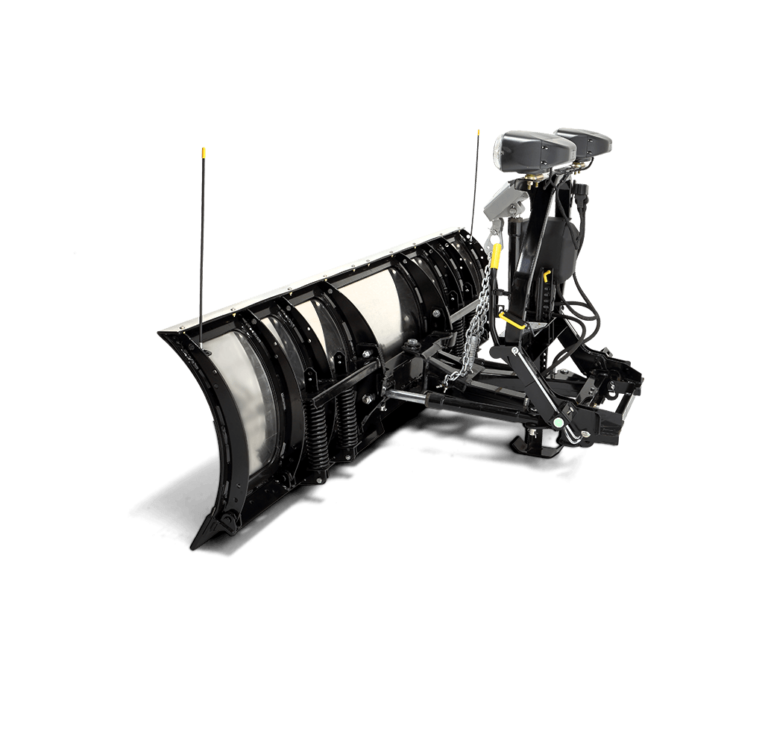 With an articulating A-Frame*, the HDX™ snow plow pivots from side to side allowing the blade to follow the contours of the plowing surface for a cleaner scrape and improved cutting edge wear.